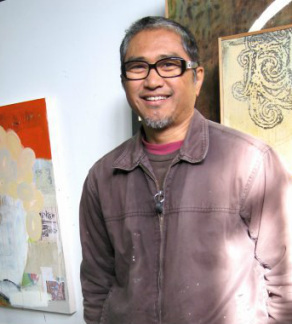 John Yoyogi Fortes is an accomplished Northern California artist with paintings held in numerous private collections as well as the Asian American Art Centre in New York, the Nevada Museum of Art in Reno, Nevada and the Triton Museum of Art and the Crocker Art Museum in California. While attending Cal State University, Fresno, John gravitated towards creating art installations incorporating video. Fully infected with the video bug, John began working at IBEX Video Productions and later Video, Marketing, Arts, Inc. It was during this period that John honed his skills as a shooter and a storyteller. Clearly his art background has impacted the way he sees and documents his surroundings from a creative point of view. As a Creative Designer with Raley's Advertising Department in West Sacramento, John was influential in developing and producing video content for Raley's online presence. He later joined Augustine Ideas in Roseville as a Senior Art Director where he acquired valuable knowledge pertaining to social media, working directly with their Digital and Social Media teams. Leaving design to pursue video, John is committed to working with individuals, businesses, institutions and organizations to extend their brand through video.